Sling this crossbody bag over your shoulder, jump on your bike and away you go! 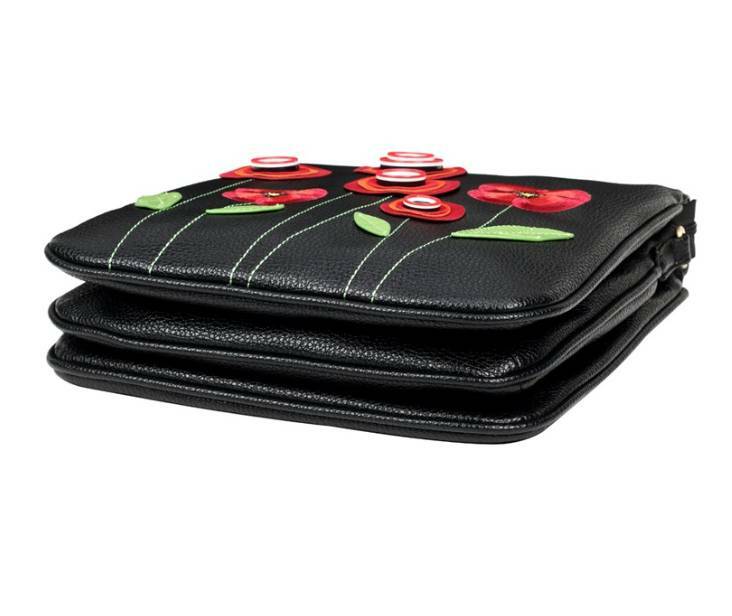 Ultra-practical and still feminine with its poppy applique. This bag is perfect for students, busy mums, and it is even smart enough for the boardroom. 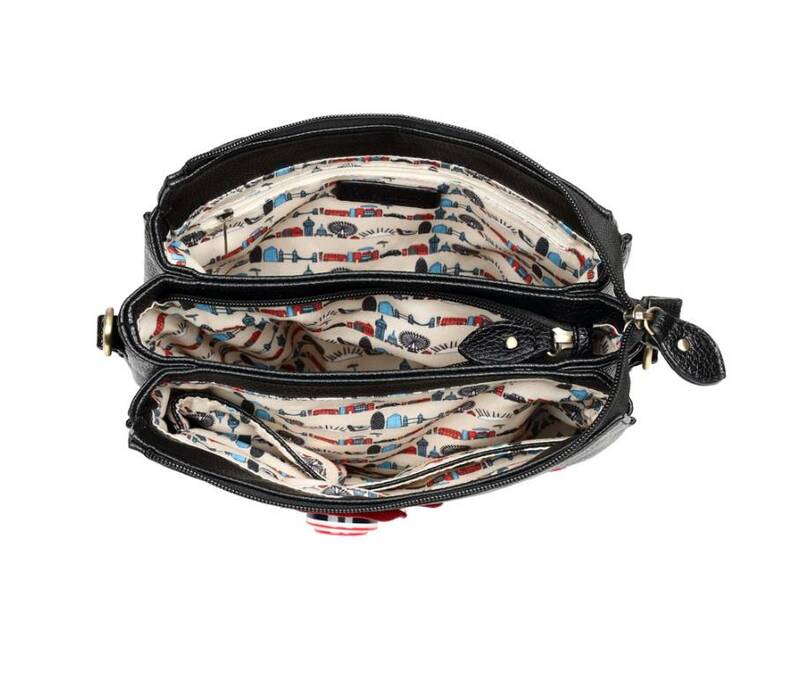 The New Vendula Poppy Triple Compartment Crossbody Bag has 3 separate compartments to organize all you need on a busy day while the new thick and grainy black faux leather feels very real. 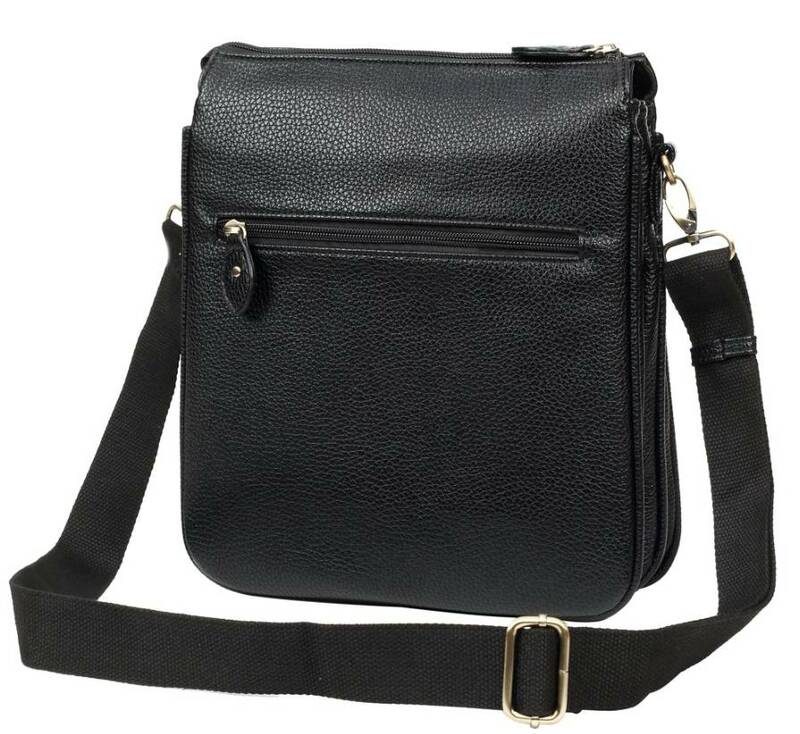 There is a comfortable canvas shoulder strap to adjust to the length that suits you and a central compartment with a zip. The top of the bag also closes with a zip and there is 1 secure external zipped pocket for fast access. 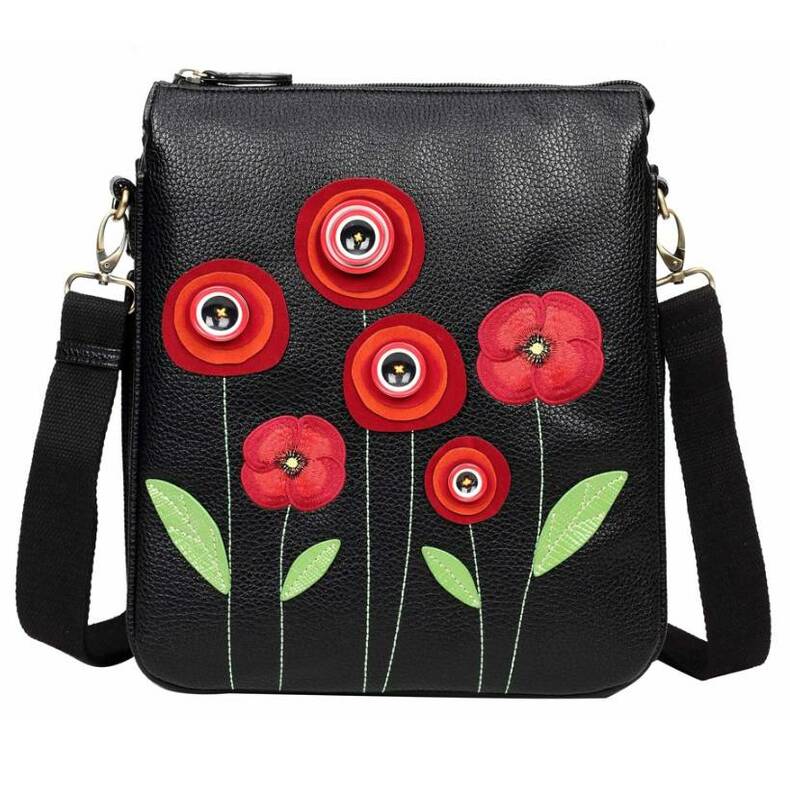 We know you will love the hand stitched Poppy applique details in fabric and faux leather the cotton embroidery and the classic Vendula London lining. 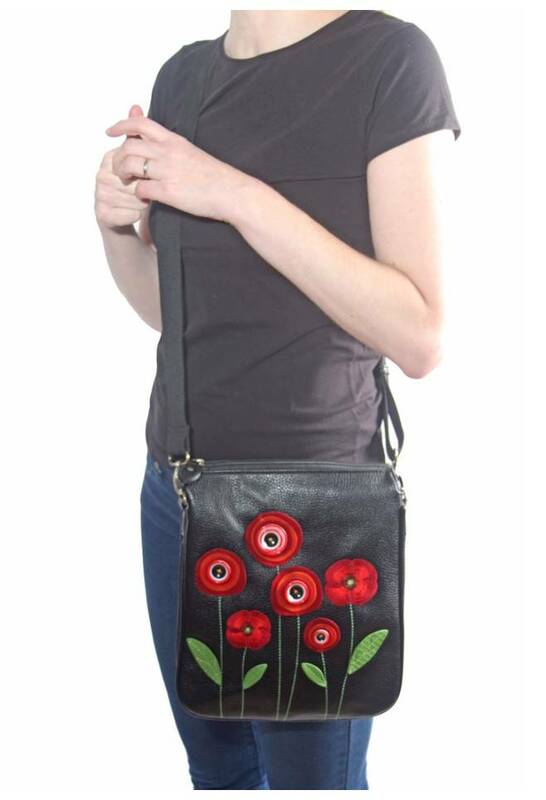 Stepping out in poppy style!